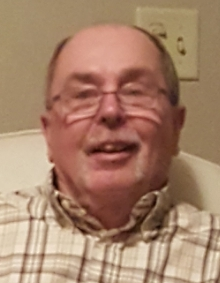 Edward L. “Fast Eddie” Hammond Jr., 72, of Decatur, IN, passed away on January 16, 2019 at Parkview Regional Medical Center. He was born on October 11, 1946, the son of Edward and Kathryn (Voglewede) Hammond. On September 25, 1971, he married Kathleen Schuller. He was a parishioner of St. Mary of the Assumption Catholic Church and was a member of the Holy Name Society. Ed worked for Tokheim in Fort Wayne, where he also served as a Union Rep and retired after 35 years of service. Ed served his country in the U.S. Army during the Vietnam Conflict. He was also a member of the American Legion Post 43, the V.F.W., and the Loyal Order of Moose Lodge 1311. He is survived by his mother, Katherine “Kay” Hammond; his wife of 47 years, Kathleen “Kathy” (Schuller) Hammond; a daughter, Stacey (Todd) Hammond-Reiley all of Decatur; a son, Scott (Mindy) Hammond of Ossian; 4 grandchildren, Alexa, Hayden, Emmerson, and Leland; 2 brothers, James (Vickie) Hammond and Timothy (Connie) Hammond both of Decatur; 2 sisters, Mary (Neil) Ogg and Patty (John) Schmitt both of Decatur. He was preceded in death by his father, Edward L. Hammond on February 20, 2009. Visitation will be from 3:00 – 8:00 p.m. on Monday, January 21, 2019 at Haggard-Sefton-Hirschy & Zelt Funeral Home, with a reciting of the Holy Rosary at 2:30 p.m.
A Mass of Christian Burial will be held at 10:00 a.m. on Tuesday, January 22, 2019 at St. Mary of the Assumption Catholic Church, with calling 1 hour prior from 9:00 – 10:00 a.m. in the St. Mary's Parish Hall. Father David Ruppert will be officiating. Burial will be in St. Joseph Catholic Cemetery, with military graveside rites by the American Legion Post 43 Color Guard. In honor of Ed’s last and only wish. He requested for his wife Kathy “Mom” to always be taken care of. Preferred memorials to be given to her for unforeseen medical expenses.